Exceptional student-athletes, 1985 Women’s Soccer National Champions recognized for their contributions to the legacy of UCSD Athletics. 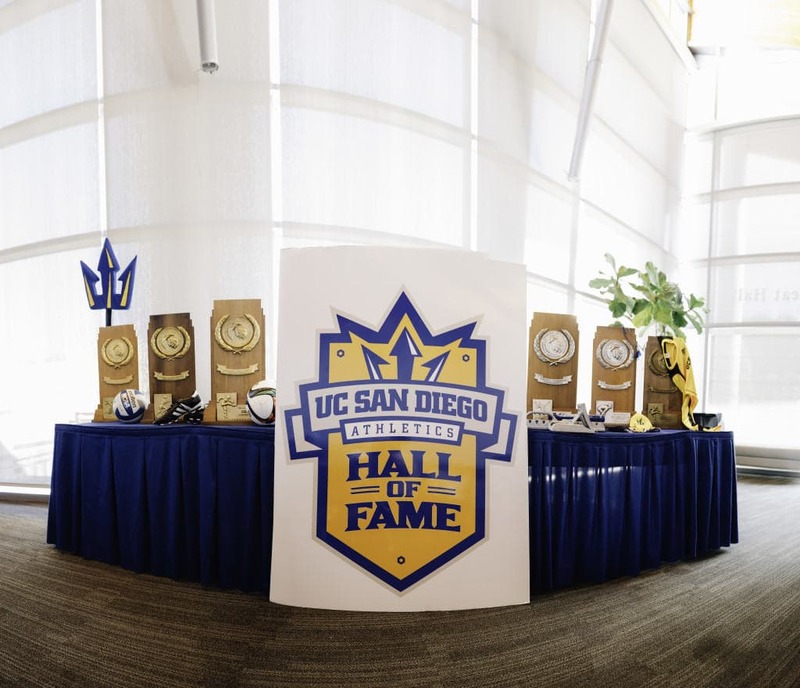 This past Sunday, the UCSD Department of Intercollegiate Athletics inducted four more outstanding student-athletes into the Hall of Fame. The inductee class of 2015 includes Brian Siljander (men’s soccer, 1987–90), Louise “LuLu” Schwartz (women’s volleyball, 1980–83), Erica Hinckson (track and field, 1990–93) and John Flowers (swim and dive, 1990–94). Siljander led the men’s soccer program to its first NCAA Division-III title in 1988 with an undefeated 23–0–2 record. Schwartz and the women’s volleyball team earned UCSD’s first NCAA Division-III title in 1981. Hinckson took the NCAA Division-III title in the 100-meter dash in 1992 and was a 10-time All-American in her time as a Triton. Flowers took two individual titles and led his squad to five relay titles in swimming at the Division-III level. The UCSD Athletics Hall of Fame recognizes elite athletes who attained success in their sport and helped build the legacy of UCSD Athletics to where it stands today. The first class of athletes was recognized in 2013; to date, 19 honorees have been enshrined in the Hall of Fame. Since the beginning of athletics at UCSD, the Tritons have won 30 team national championships and 138 individual national titles. 1,243 student athletes have been named to All-America teams. Along with the four Hall of Fame nominees, the Athletics Department recognized the 20th anniversary of the 1995 Women’s Soccer Championship win.